What makes a magical travel experience for you? 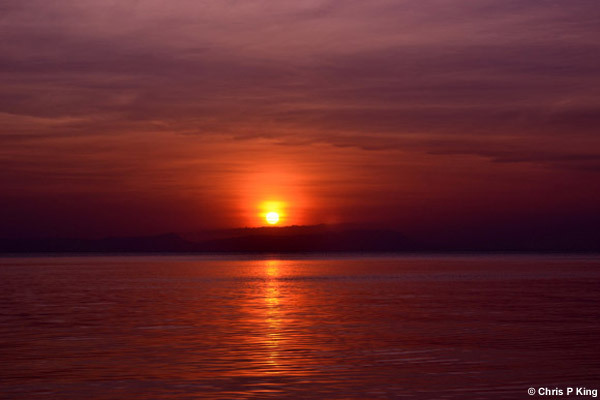 Spending a week on Rabbit Island (Koh Tonsay) in Cambodia, watching beautiful, mesmerising, spectacularly colourful sunsets over the sea was certainly one for me. 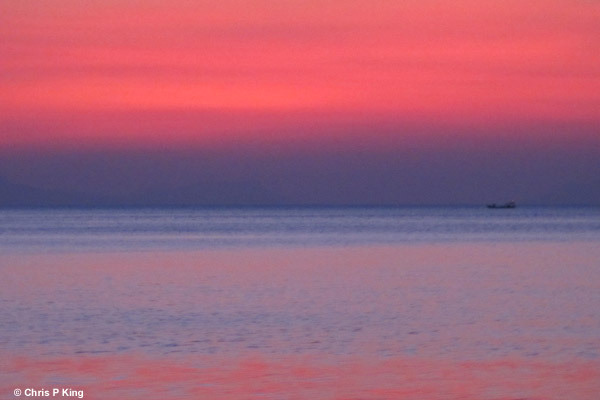 To accompany this collection of sea sunsets from Rabbit Island, I’ve found some sunset quotes. Hope you enjoy the pics as much as I enjoyed being there and taking them. 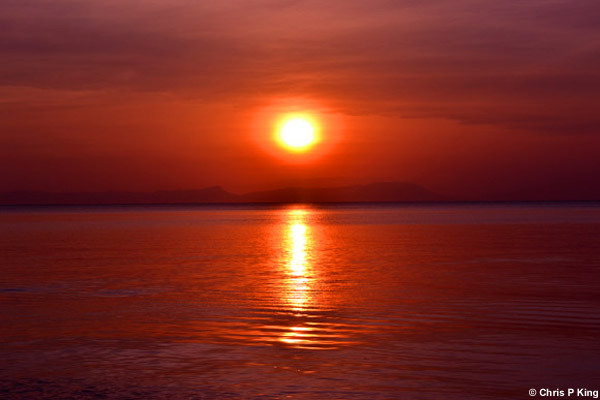 If you enjoyed these sunset photos across the sea from Rabbit Island and want to relax in a way conveyed by the sunset quotes, I highly recommend visiting the island. 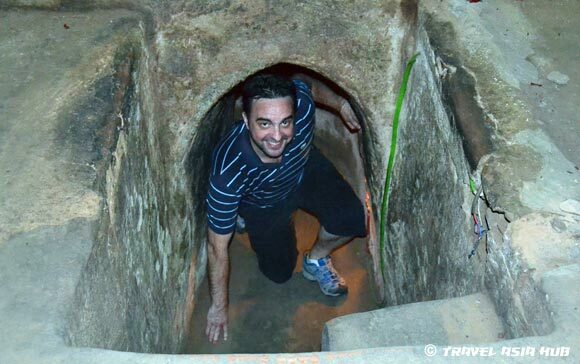 You can find out more with our Rabbit Island, Cambodia travel guide. It’s a wonderful place and I highly recommend it for kicking back for some time, one thing is for sure, you will not be disappointed with the sunsets. 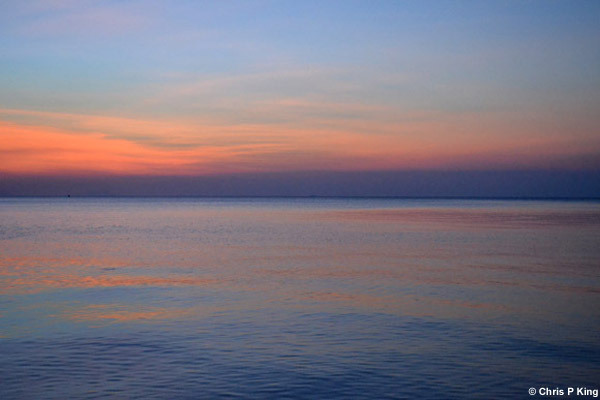 Cambodia’s south coast is a perfect place for sharing sunsets with your loved one. Combined with a visit to Angkor Wat, it’s a romantic alternative for newlyweds. 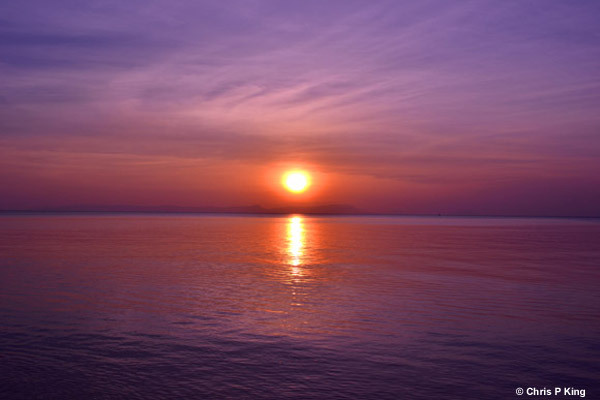 Discover why Cambodia is an ideal honeymoon destination at 101 Honeymoons. Rabbit Island (or otherwise known as Koh Tonsay) in Cambodia is one of those gems that you find when you’re travelling. It’s such a relaxing place and you’ll soon get down to the slow pace of life on the island. The local people are wonderful and friendly, the seafood is divine, it’s perfect for swimming, there’s things to do, or you can simply chill out and kick back. 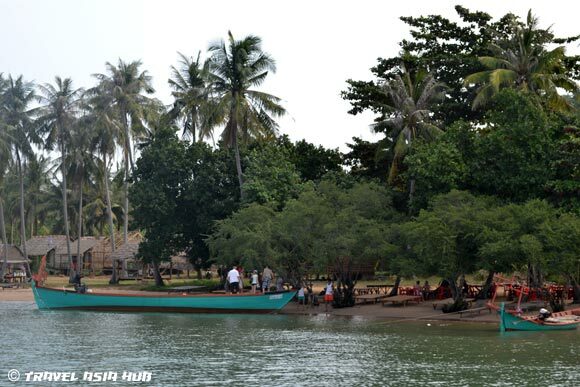 Rabbit Island is just two square kilometres and apart from some coconut tree lined beaches, it has dense jungle in the interior. It’s size makes it the perfect paradise getaway for more open minded and budget travellers. There’s no traffic on the island (or roads for that matter), just boats ferrying passengers and supplies to and from the mainland. With no rushing around it makes Rabbit Island quite unique, and an ideal place to spend some time going barefoot. With no electricity from dusk till 10.00pm (or sometimes a bit later) or wi-fi, it really is a great place to chill out and get away from it all. If you find it hard to switch off, and get in touch with more rustic living, it may not be the place for you. If, however, you want to bask in the warm sea, eat delicious fresh seafood, sway in a hammock and completely switch off, you’ll be in paradise, so read on. 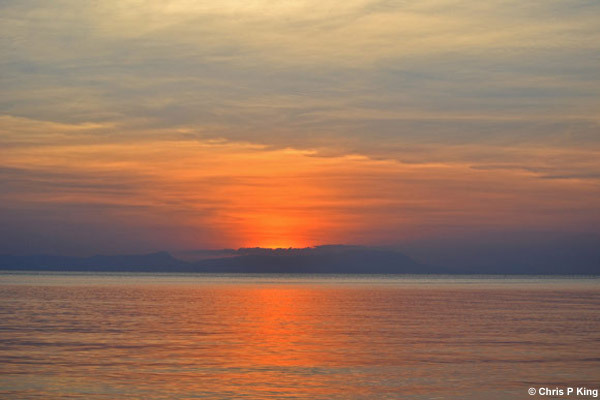 Rabbit Island is only 4.5km from Kep and just 20 minutes away by boat. 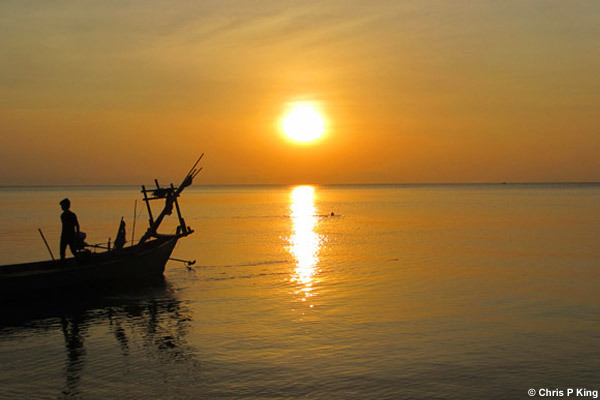 You can arrange a return trip from your hotel in Kep. Tickets cost $7 for a day return, and $10 for a period return if you’re going to stay on the island. Most crossings occur at around 9am, and you’ll see groups of travellers and day-trippers waiting to board boats in the mornings at Kep Pier. Kep Pier is at the eastern side of Kep, near the Independence Monument which is a couple of blocks inland. If you buy a ticket from your hotel (which seems to be the easiest way), you’ll get picked up in a tuk-tuk and taken to the pier. You can also buy tickets at the pier for boat travel to Rabbit Island on the day or in advance. The boat trip to Rabbit Island is a lovely journey, with the island getting increasingly closer and great views backs to the mainland and Kep National Park. More boats leave throughout the day but you’ll may find that it costs more. When you’re on the island you can either use your return ticket, or you can arrange a boat to take you back when you want for just $5 per person. 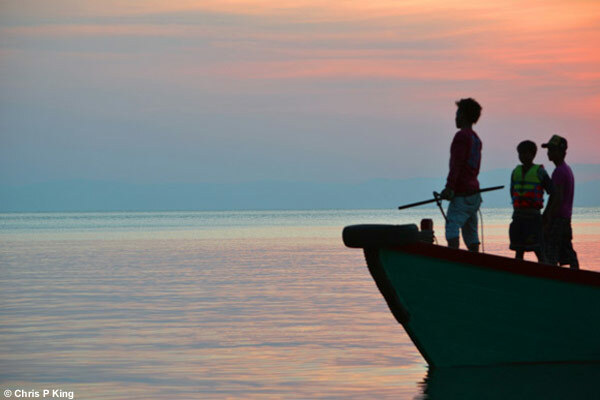 There’s plenty of boats returning to Kep throughout the day, so if you want to stay a bit longer, it’s cheap and hassle-free to get back to the mainland. Just ensure that arrange your visit back at one of the restaurants where there’s more chance that someone can speak English. Highly recommend staying on Rabbit Island and spending at least one night there. So many people just go for the day and they miss out on a wonderful experience. If you’re travelling, you can easily spend a week there or more, depending on how much you like the quite life. Accommodation is only available in basic, bungalow style huts on wooden stilts, made from bamboo, wood, straw and dried coconut leaves. 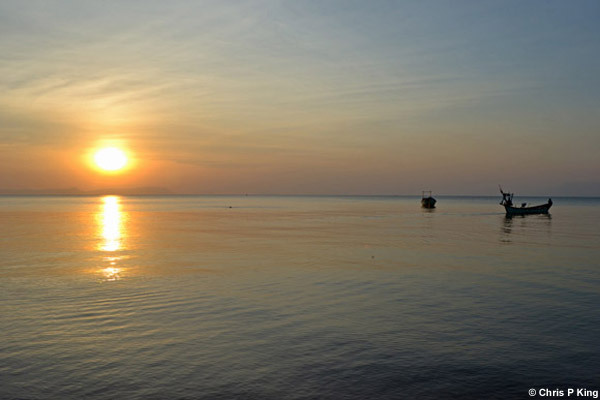 Bungalows are only available on the main beach that faces Kep and the mainland. 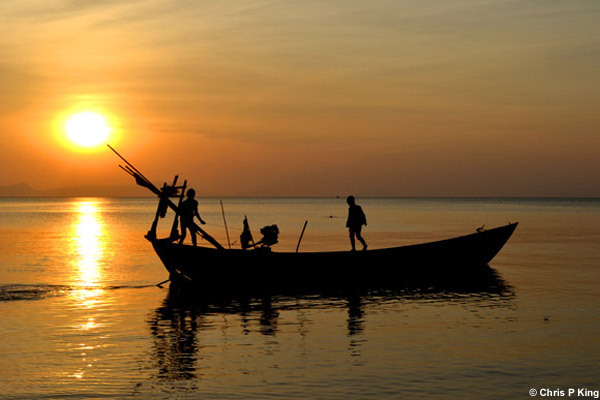 There are about seven sets of huts offering basic accommodation on Rabbit Island (Koh Tonsay). From the outside they all look pretty much the same with some a bit bigger than others, however, it’s inside where there are some marked differences. Prices range from $5 (outside shared toilets and shower and some without electric points) to $10 per night (Western style toilet and shower). Expect to pay $7 or $8 for a bungalow with your own shower, electric point and squat toilet. Expect to pay more over Christmas and New Year. Note that electricity only runs from 6pm to 10pm so a torch is handy at night. If you like photography and gadgets, ensure you’ve fully charged up before you come to Rabbit Island. 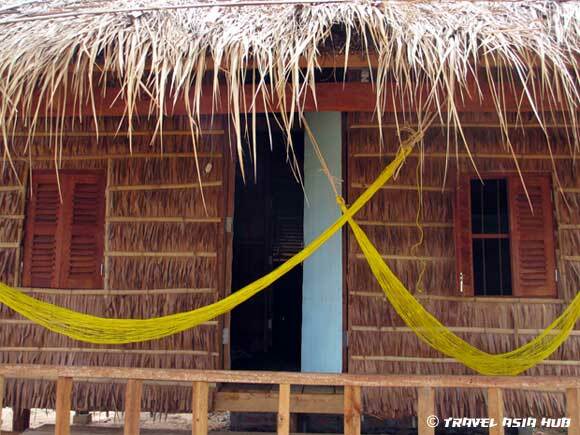 At the time of our visit in February 2013, there was no wi-fi on the island. If you’re always online, take advantage of the break and get immersed in the real world for a few days! It’s not crowded at all on Rabbit Island, however, during high season it’s probably a good idea to book ahead. Also, it gets busier at weekends with Cambodian day-trippers and some who stay on for the weekend. It’s worth stressing that huts on Rabbit Island are very basic and you’ll be no doubt sharing with some of the local wildlife. If you’re more accustomed to hotel comforts, be warned it’s very rustic on Rabbit Island. If you love nature and swinging around in a hammock (all huts have them) then you’ll be in for a treat. 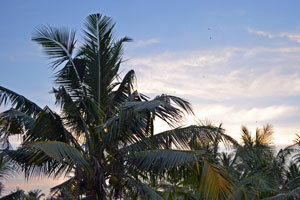 It’s very relaxing listening to the sounds of ocean and birds, and expect to be up early with the locals. If you’re in luck, you may even have a gecko on your roof. At the time of our visit the huts furthest away from the mainland offered the newest huts with Western style toilets. Accommodation doubles up as restaurants on Rabbit Island. 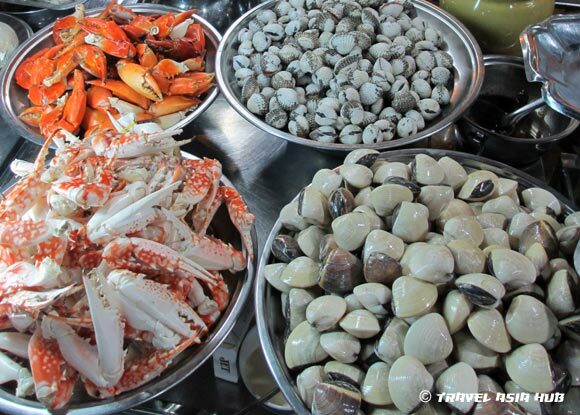 For the best gourmet experiences, you must eat the yummy and fresh seafood which is cheap and available everywhere. Fish, shrimps, crab and squid are offered on all menus and it is all deliciously fresh, and cooked in a variety of styles. If you love your seafood you’re in for a delight, and it’s much cheaper than what you’ll get in Kep. The Amok is popular and one of the best Khmer dishes available. If you’re familiar with Indian food the Amok is perfect as it’s an Indian style curry with coconut, dry chilli and onion. You can also get dishes with local ‘Kampot Pepper’ which are simply divine. Try the local speciality Kep crab with Kampot pepper, which is simply divine. Western style dishes are also available everywhere for food at any time of day, with breakfasts consisting of muesli, cereals, eggs or omelettes. Rabbit Island is great for just chilling and relaxing, however, there’s plenty to do if you’re more active inclined. The main beach on Rabbit Island golden sand and approximately half a kilometere long. 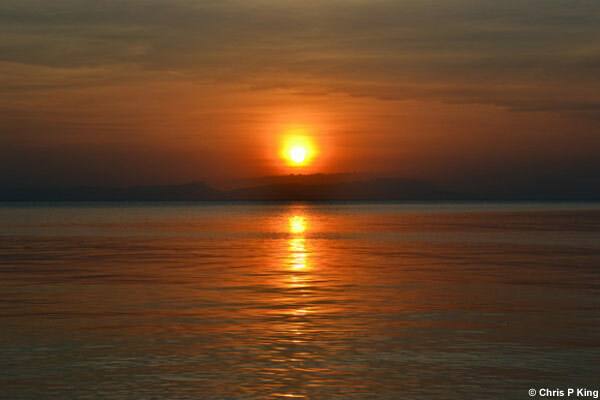 It’s the beach that you arrive on Rabbit Island and you can see Kep across to the mainland. The beach is only a few metres wide, however, there’s room for sun loungers, deck chairs and plenty of hammocks on the trees hugging the shoreline. 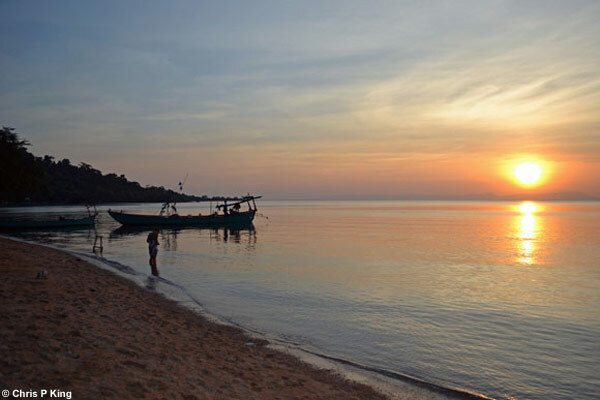 There’s about half a dozen other beaches on Koh Tonsay which you can find by taking the walk around the island. Like the main beach, they’ve all got golden sand. Generally, they were clean when we were there, however, there was some plastic washed up on the shore. The only way to find them is to either go out and explore the island on foot or if that’s too much like hard work, you can take a boat to visit them. There’s a couple of walks that you can do on the island or if you’d sooner take it easy you can stroll up and down the main beach. You can take a pleasant walk around the island, which takes about one and a half to two hours. Total distance is just under eight kilometres. If you time it right it’s a straightforward walk around the island, however, if the tide is higher you could end up getting wet and wading part of the way through mangroves. Just over half way round you will come to a beach with a long spit head of sand going out to the sea. It’s a great place to stop for a swim or a paddle. A local family live by the spit head beach and will ferry you back to the main beach for $5 per person. If you’ve got camera equipment you may need to take them up on their offer. If you’re in need of refreshments, they’ll also quite happily sell you a fresh coconut. If you’re feeling just slightly adventurous, however, you’ll get around the island just fine without the aid of a boat. You can also do a walk into the small interior of the island. It’s quite hilly and you’ll need to take a guide to navigate through the jungle. You’ll be able to hear and see more birds and wildlife when you’re away from the main beach. There’s an old military pill box in the jungle which you can explore. Be careful if you go as apparently there’s lots of snakes inside the old military building (or that’s what the locals told us and they seemed quite adamant). A guide will cost around $5 per person. 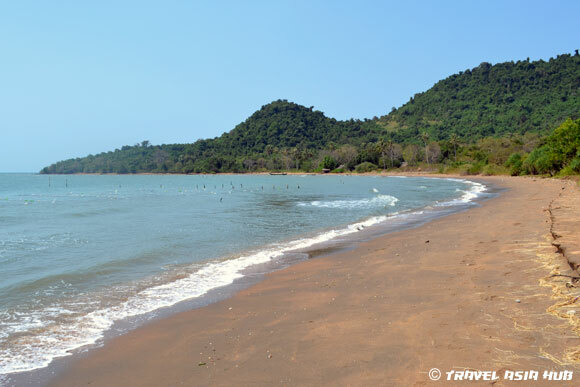 The main beach is ideal for swimming as the water warm and shallow due to a gentle slope that goes out to sea. It’s ideal for children and less confident swimmers. More accomplished swimmers will love the calm water around Rabbit Island, and the main beach at roughly half a kilometre long is ideal for swimming lengths. Every now and then you need to keep an eye on the boats which are moving around, however, the locals are used to tourists swimming in the water. If you do the walk around the island, there’s a few spots which are ideal for a swim. If you want to experience something truly spectacular, go for a dip at night from the main beach. The water sparkles and glistens from marine phosphorescence which is emitted from bio-luminescent plankton in the water. It’s wonderful to see this and if you’ve never seen it before, here’s your opportunity to see one of natures wonders. It’s a reason in itself to spend at least one night on Rabbit Island. Fishing can be arranged on Rabbit Island, either off the shore or in a boat. These can be arranged through the people who run the accommodation. Fishing equipment is often rudimentary with just some line coiled around a plastic bottle with a hook and weight. If you have a look around however, you can find proper boat and beachcaster rods which you can hire for $5 a day. If you catch anything, the local restaurants will more than happily cook it for you in whatever style you like. If you’d sooner spend some time on the water, boats can be hired from $15 to $25 for trips of two and a half to four hours. This gives you plenty of time to fish in a few spots, and it’s a great way to see the island. With the basic equipment you can catch some small and medium size fish. If you take your fishing more seriously, however, recommend that you hire a boat rod. Either way, you’ll be supplied with fresh squid as bait. For longer boat trips you will have time to fish off another of the many islands that are near to Rabbit Island. All fishing trips will include a boat trip around Rabbit Island, unless you specify any different. Don’t forget to pack some sunscreen and clothes that you can cover up whilst you’re on the water. There’s no cover on the boats and the sun is fierce when you’re out on the water. You can also fish off the headlands at either end of the main beach. There’s some rocks, so there’s a good chance of catching something. If you can get your hands on a beachcaster rod, you’ll have more options of where to fish, and more likely that you’ll catch something. Snorkelling is also available on Rabbit Island and equipment is available for daily hire. You can either take a boat for a few hours, or go off the rocks at either end of the main beach. There’s plenty of activity going on under water and as the water is calm, it’s ideal for snorkelling. Boat hire for snorkelling is a similar price as fishing, you’re more likely to see more sea life this way as the locals will take you to the best spots. At the restaurant nearest to Kep you can hire kayaks. Rates are $5 for a double and $3 for single for an hour, however, I’m sure you can negotiate if you want to go out for longer. There’s plenty of shallow waters around the island that are ideal for exploring in a kayak. Massage is available along the main beach with prices ranging from $5 upwards depending on the style of massage. Available types include Khmer, Thai and oil. If you like to switch off and just listen to the to the sounds of the sea whilst having a massage, Rabbit Island is the ideal spot. 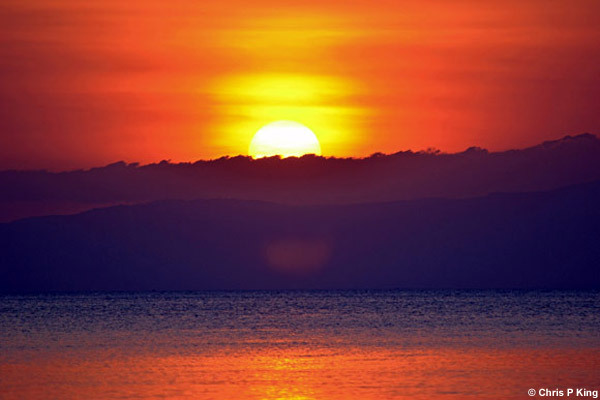 Sunsets are spectacular on Rabbit Island and can be seen clearly every day from the main beach. 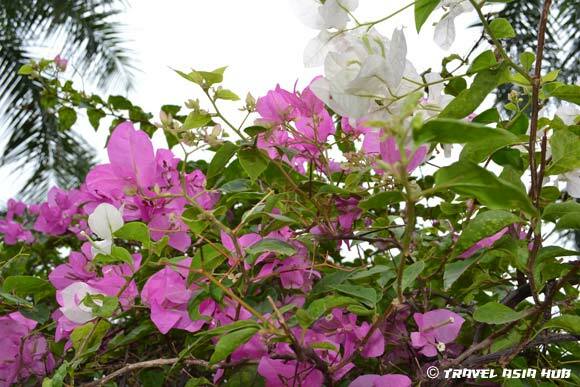 They’re always colourful and throw up a myriad of vivid reds, pinks, purples, violets, oranges and more. If you’re just looking some rest and recuperation, Rabbit Island is the perfect setting to simply lie in a hammock or slump in a deckchair, whilst reading a book or dozing off to sleep. There’s plenty of hammocks hung on the trees which hug the shoreline of the main beach. The sound of the gentle waves lapping against the beach is an ideal tonic for those seeking some relaxation. The beach itself is quite small on the main beach on Rabbit Island, however, there’s plenty of space to lie on it or on a sun lounger. If you’re looking for something a bit more rustic and away from the resort towns on Cambodia’s south coast, Rabbit Island fits the bill. Life is extremely slow on the island and you’ll soon find that you’ll be up with locals (or getting woken up by a cockerel! )and bedding down when the lights go out at around 10.00pm. One of the best things about Rabbit Island is the local families that live there as they’re friendly and don’t give you any hassle. As well as people, you’ll also be sharing the island with dogs, ducks, chickens and lots of native wildlife. Local making a bungalow on Rabbit Island, it could be where you’re staying when you get here! Rabbit Island used to be a fishing community, however, the locals have found tourism to be more lucrative. There’s less than a dozen families who live on Rabbit Island all year round. Many of the locals don’t speak English, however, there’s always at least one person at the bungalows and restaurants who will be able to speak in English. Around the island you can see seaweed farms which the locals grow for export to China and Vietnam. 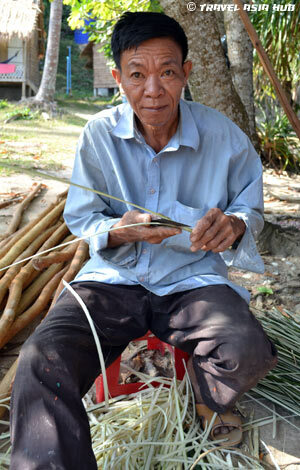 It’s used for making sweet foods and helps the local economy. If you’ve visited other beaches in Cambodia you’ll be refreshed to see how clean the main beach is on Rabbit Island. Unfortunately, you will see some plastic and other rubbish washed in from sea on other parts of the island. The water in the main beach is clean and crystal clear. We were also told that no sewage goes out to sea and that it’s dealt with inland. If you’re heading to this part of Cambodia, you really must visit Rabbit Island (Koh Tonsay). 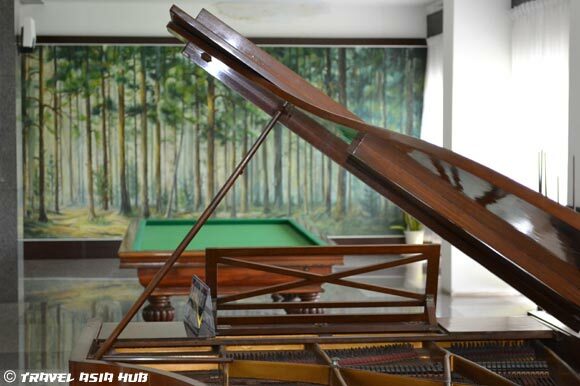 You’ll love the place as it’s a perfect place to unwind for both tourists and travellers. I’ve done plenty of travelling in my time, and for sure it’s one of my favourite places. 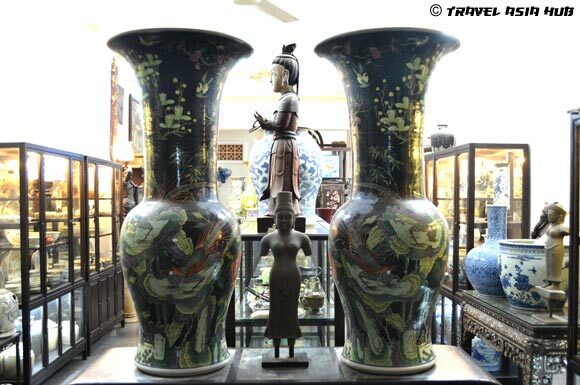 Be sure to visit Kem Leng, where you’ll definitely be treated to excellent food and service. Enjoy your trip! 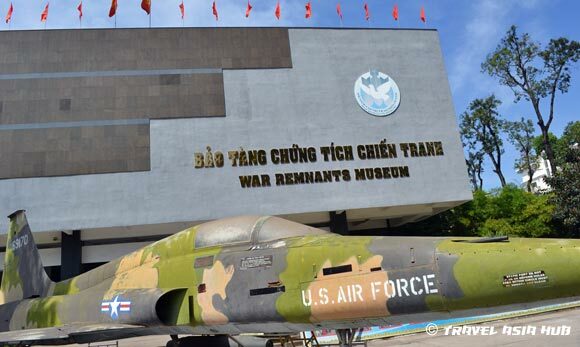 Despite my best efforts to find out the best and quickest route to travel from Can Tho, Vietnam to Kep, Cambodia, I could not find any definite answers. I thought, therefore, that I’d share my experience for other travellers who are taking the trip from Can Tho to Kep. 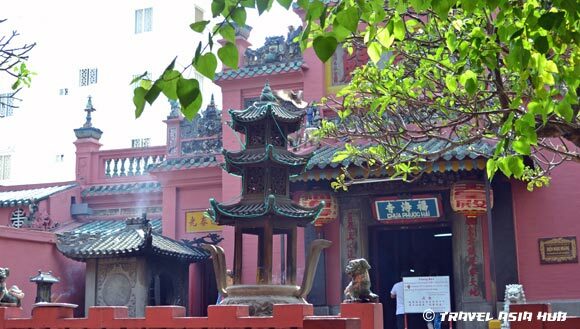 I took two buses and one moto taxi to do the trip, which took a total of eight hours. Contrary to what I thought before I set off, it was a smooth journey, with easy connections along the way. 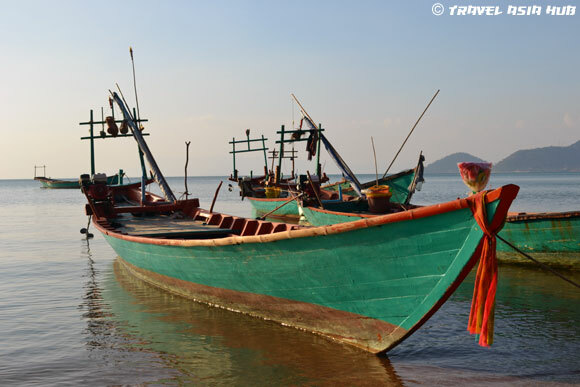 Here’s how to get from Can Tho to Kep in one day. I reserved a seat on the Can Tho to Rach Gia bus via my hotel. They called this a ‘tourist bus’ which generally means this is more modern, cleaner and more often faster than ‘local’ buses. At 7.30am I was picked up by an orange minibus. After a couple of more pick-ups we were taken to the Futa Phuong Trang office at the bus station in Can Tho. I bought a ticket for 95,000 Vietnamese Dong to travel on the Futa Phuong Trang bus from Can Tho to Rach Gia.It was scheduled to leave at 8.00am, however, we departed at 8.15am. After boarding the coach we were given a small bottle of water and a refreshing towelette. You can take local buses, however, I wanted to get to Kep as quickly as possible. The journey time from Can to Rac Gia was just under three hours, which included the hotel pick-up, delayed departure and a 20 minute rest break along the way. 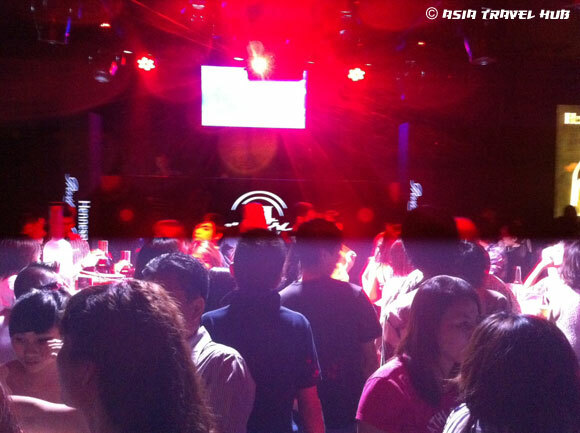 As we embarked at Rac Gia, I encountered the only tricky part of the journey. Unfortunately, I was the only foreigner left to deal with the marauding swarm of moto taxi drivers. I couldn’t get away from one insistent who was ushering me away and telling me I had to trarvel to another bus station five kilometres away, to get the bus to Rach Gia. I took on board his advice, smiled politely and ignored him. He was not giving up, however, and continued to say ‘let’s go’ at least 10 times. Each time I smiled at him and firmly said that I was OK. He was not going to give up that easily, no matter where I turned he was there in front of me. I got out Google Translate on my iphone and tried to communicate with a security guard followed by another moto taxi driver. As it turned out the second driver spoke some English. Despite the best efforts of the first driver to continue his scam, I asked the second driver where I needed to go to catch my next bus. He pointed to the other side of the bus station. Travel Tip: When dealing with moto taxi drivers at bus stations in Vietnam be polite and firm. Do not accept what they say, always get a second opinion from someone else. When speaking to them always remain calm and keep smiling. Sometimes they offer useful advice, however, it’s also very common that they’re looking to make easy money from you. The Futa Phuong Trang office instructed me to go to the Malinh Express counter to get a bus from Rac Gia to Ha Tien. At the Malinh Express office I bought a bus ticket from Rac Gia to Ha Tien for 65,000 Dong. Whilst I waited for the bus, I saw a couple of local buses heading to Ha Tien. There are cheaper options available, however, you always need to weigh up time and convienience. The Malinh Express mini-bus from Rach Gia to Ha Tien left on time. I’d been approximately one and half hours in Rach Gia before I’d departed. The journey from Rach Gia to Ha Tien took two hours in total. On reaching Ha Tien, I knew it was just one transfer to complete the journey from Can Tho to Kep. 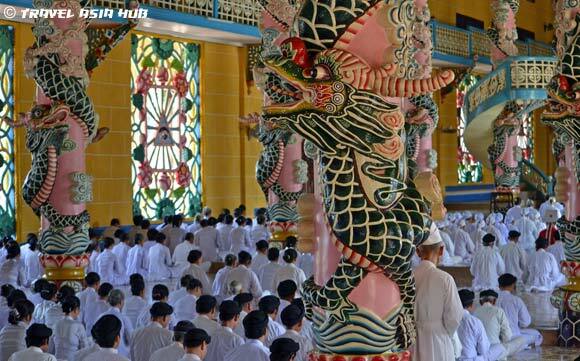 By the time we reached the Ha Tien bus station there was only a few of us left on the bus. I was the only foreigner, and was not surprised to see a scrum of taxi drivers waiting for me. I started negotiating my onward journey to Kep, with the only English speaking taxi driver. 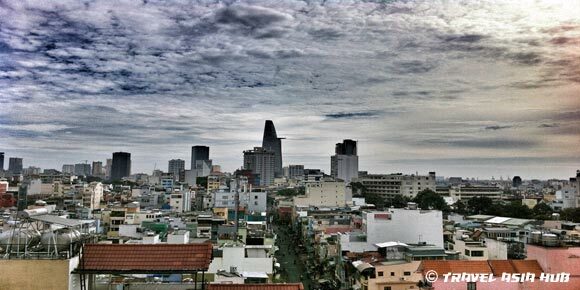 I’d read about a difficult experience with the taxi drivers at Ha Tien, so to my surprise everything was agreed very quickly. I agreed to pay $8 USD for the moto taxi from Ha Tien to Kep. I made it clear that I would not pay for any extras such as fuel or waiting time at the border. Within minutes I was on the back of a moto heading towards Kep. The border crossing was straightforward. 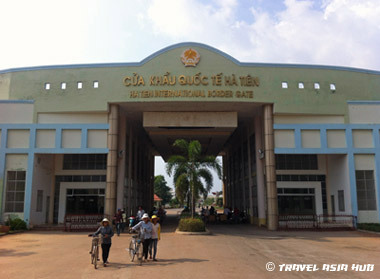 I went through the Vietnam gate at Ha Tien which only took a few minutes. My moto taxi driver then ushered me on to walk towards the Cambodian border at Prek Chak. Just a few hundred metres later I arrived at the Cambodian side of the order. I filled in the necessary forms and took it to the window to get my visa. After handing over my passport, the immigration official requested a $30 USD fee, which was $5 USD more than I thought. I asked for a receipt, and quizzed the official on the $30 USD charge for my Cambodia visa. I was told that the $5 USD was a stamping fee and that there was no receipts. After a long journey I was in no mood for arguing over the stamping fee, so paid the $30 USD. 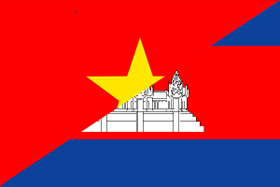 After receiving my visa I started to walk away, when a Cambodian health official waved me to his counter. I’d heard about this before, and thought it was a scam to get some more dollars from me. I made it clear that I was not going to pay. The health official shone a light into my eyes, gave me the OK, and allowed me to get on my way. It was a slighly bizarre experience and am sure I would have been asked for money, had I not been clear I was not going to pay. I got back on my moto taxi to continue my journey and we headed towards Kep. Immediately, I noticed that the roads were more basic in Cambodia. The journey from the border to Kep despite the bumpy roads was a real treat. Everything felt more relaxed now, having crossed the border and travelling through beautiful Cambodian countryside. My driver switched between pot-holed roads and dirt track country lanes to get to Kep. He had obviously done this route before and knew some short-cuts. 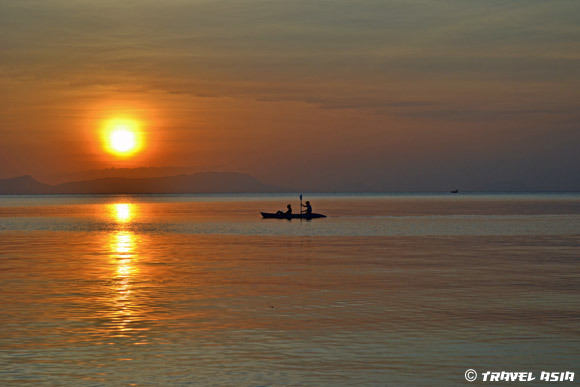 Just over an hour after I’d left Ha Tien, I arrived in Kep. 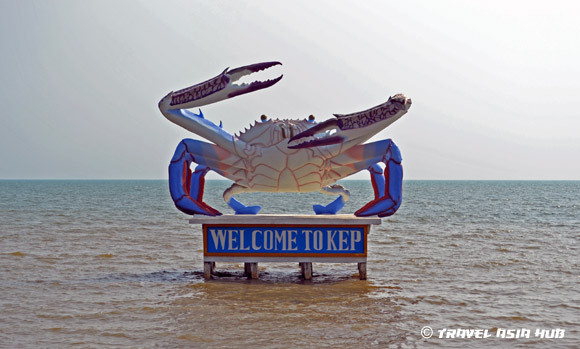 The giant crab in the sea was a giveaway that I’d arrived in Kep! I was happy to go with the flow whilst the moto taxi driver took me to a hotel as I didn’t have a booking. Within five minutes I’d accepted the room and paid my efficient and speedy moto taxi driver. 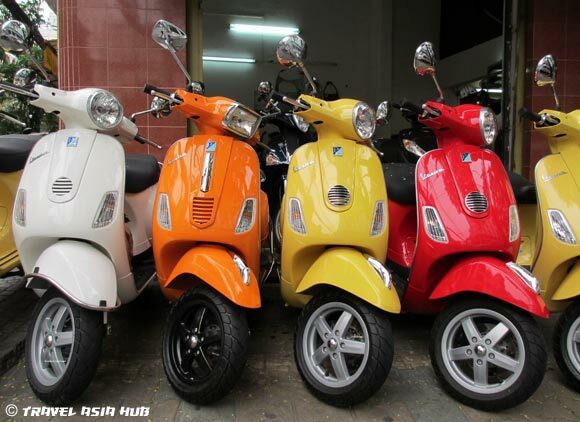 Travel Tip: Tuk-tuk and taxi drivers are more often than not useful if you need to find a hotel. It’s best to listen to what they recommend and reserve judgement until you arrive at the hotel. Have you done this journey? If so, how did you travel and how long did it take?